This activity allows Stage 3 students to compete in STEM (Science, Technology, Engineering and Mathematics) experiences with schools around the region. It is a wonderful example of community partnership and collaborative learning. The students are assisted in the challenge by university students, high school students and community volunteers, through rotary clubs in the region. 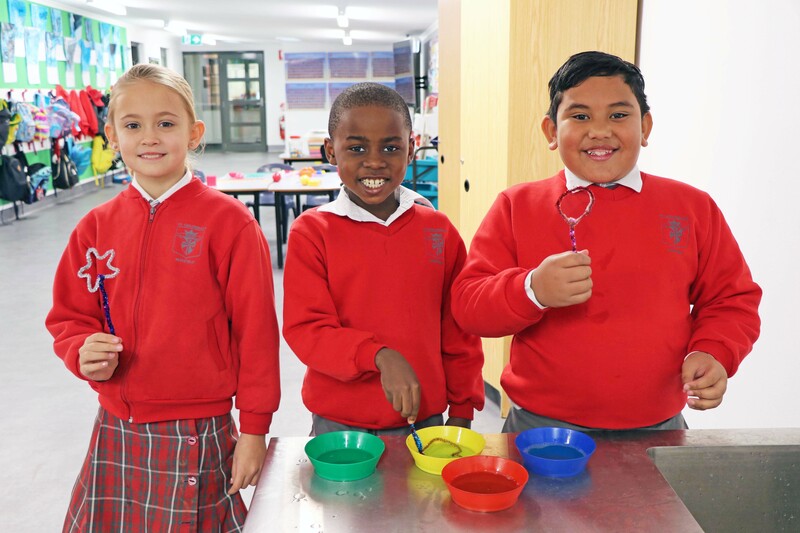 The competition extends to high school, so the positive experiences the students experience in Year 5 and 6 can develop into a passion throughout their high school years. Students from Kindergarten to Year 6 compete at school and the regional level to prove the quality of their spelling skills. Students from Kindergarten to Year 6 compete at school and the regional level to prove the quality of their speaking skills. Students from Year 6 compete at school and the regional level to prove the quality of their debating skills. Students from Year 5 and Year 6 compete at school to prove the quality of their problem solving skills. This Challenge aims to encourage a love of reading for leisure and pleasure in students, and to enable them to experience quality literature. It is not a competition but a challenge to each student to read, to read more and to read more widely. During term 3, San Clemente and St Columban’s join together for PE and sport lessons. All classes are involved in the experience. Year 6 attend camp at Great Aussie Bush Camp each year. This is both a bonding and leadership experience.